The Architectural Heritage Fund] – Project Viability Grant - The AHF is a registered charity, working since 1976 to promote the conservation and sustainable re-use of historic buildings for the benefit of communities across the UK, particularly in economically disadvantaged areas. 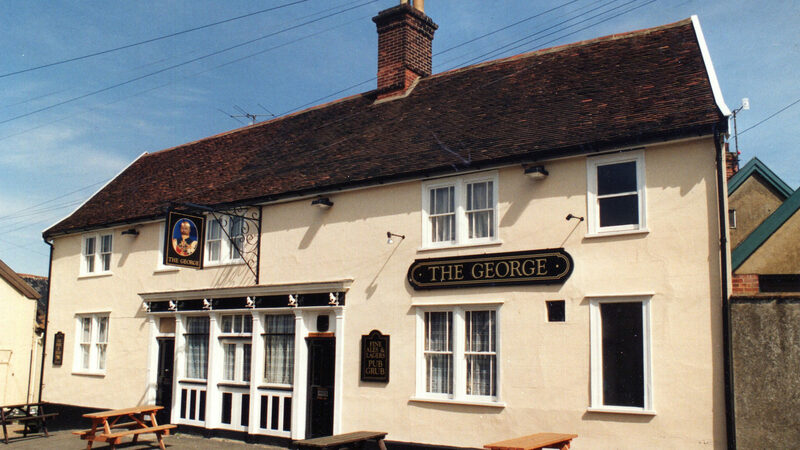 The George’s Project Viability Grant, intended generally to establish whether a proposed use for an historic building will be economically viable, has part-funded professional fees for consultants providing key elements of the feasibility study, training costs for members of the Management Committee, in order for them to work more effectively on the Project and the production of this report. The grant was awarded in February 2017. More Than a Pub – More Than a Pub Bursary Award – The More Than a Pub programme is jointly funded by the Department for Communities and Local Government and The Power to Change Trust as part of a wider initiative to grow the number of community pubs opening across the UK. The programme is delivered by The Plunkett Foundation, in collaboration with Co-operative & Community Finance, Keyfund, the Campaign for Real Ale (CAMRA), Co-operative Mutual Solutions, Pub is the Hub and Locality. The Plunkett Foundation, the aim of which is to support people, predominantly in rural areas, in setting up and running life-changing community co-operatives that help to tackle issues ranging from isolation and loneliness to poverty, has also provided a dedicated advisor, valuable advice on the legal form of the Society and helped it produce an Action Plan for the Feasibility Study. The More Than a Pub Bursary has funded registration as a Community Benefit Society, Membership of the Plunkett Foundation, part-funded the production and distribution of the Community Questionnaire and subsequent public feedback, and part-funded professional fees and the production of this report. The bursary was awarded in November 2016. Suffolk County Council – Councillors’ Locality Budget – SCC, similarly, allocate individual councillors a proportion of an overall budget. Councillors are able to make recommendations about funding from this budget for local projects in their division, which should benefit the community. Councillor Michael Bond (Wickham Division) recommended that the Society be given funding to assist with professional fees, community consultations and preparation of this report. Funding was approved by SCC in February 2017. Suffolk Coastal District Council – Suffolk Coastal Enabling Communities Budgets – SCDC gives each elected member an annual budget allocation to spend on new community projects or to develop projects in their ward, as they see appropriate. District Councillor Mark Amoss (Wickham Market Ward) recommended that funds be allocated to the Society to part-fund professional fees, including those for a Social Impact Study by Community Action Suffolk and the production of this report. Funding was approved by SCDC in February 2017.